On Tuesday, the U.S. Senate worked to pass an energy bill, after having the bill on hold for the last two months. The bill is a bipartisan approach to increase various natural energy sources, as well as to upgrade the U.S. pipeline and power infrastructure. 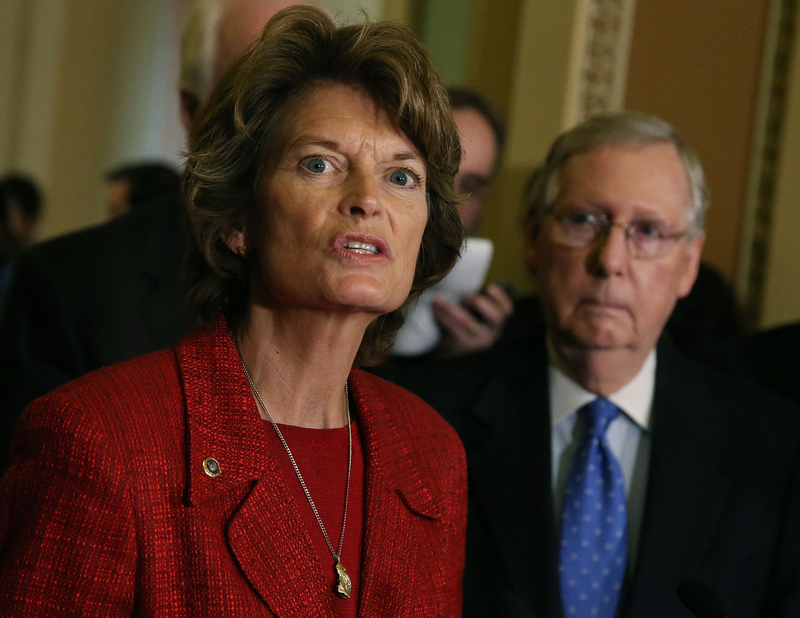 The bill was crafted by Alaska Republican Sen. Lisa Murkowski, who chairs the Energy and Natural Resources Committee, and Washington Democratic Sen. Maria Cantwell. The bill had been delayed since February after a dispute over whether to add a provision to send millions of dollars in emergency funding to Flint, Michigan, regarding the water crisis. The sponsors also tried to remove a provision to protect Corolla wild horses in North Carolina, to which Sen. Murkowski voted "neigh." No, literally — Murkowski "neighed," rather than saying "nay," given the subject matter of the provision, sponsored by North Carolina Sen. Richard Burr. Burr referred to the 2008 film Knights in Rodanthe to make his case during the hearing about why his amendment should make its way into the energy bill, claiming that you might recognize these horses from the movie. He clarified the purpose of the amendment, stating, "What we're doing simply is injecting some new genetics in so that this herd is sustainable for another 200 years." But Murkowski was clearly not interested in horsing around... Get it? Watch the clip below. Sarah Ladislaw, director of the energy program at the D.C. think tank Center for Strategic and International Studies, told Bloomberg Politics, "It's probably not going to be known for the sweeping changes it makes to the U.S. energy system. But it is a big deal because it shows bipartisan energy policy is still possible. In this Congress, in energy policy, that matters." The bill would be the first bipartisan energy legislation to be passed in almost a decade, and is expected to pass in the Senate on Wednesday. In a deeply divided U.S. Senate, the fact that the bill has garnered bipartisan support is a big deal. At the end of the day, Murkowski had more than just "neigh" to say. According to the Associated Press, she also stated, "Moving forward with this act will help America produce more energy and bring us one step closer to being an energy superpower. ... At the same time, it will help Americans save more money and save energy with all of the energy-policy provisions."